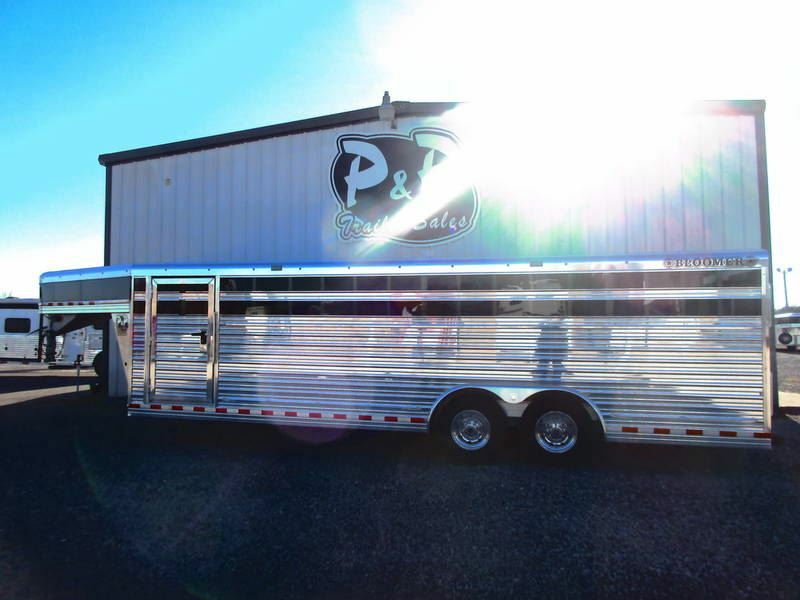 The proof is their brand loyal customer base, which includes multiple World champions from virtually every equine discipline. 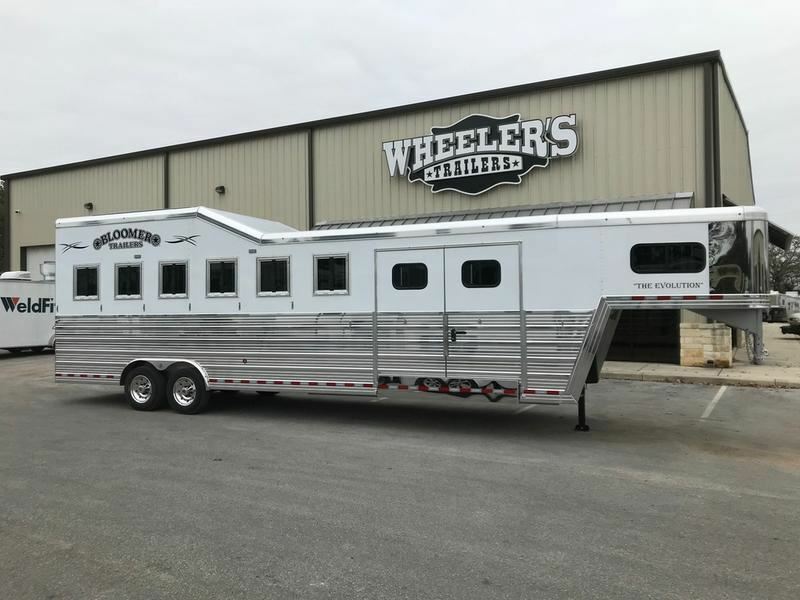 The only brand these professionals trust is a Bloomer Trailer when it comes to protecting their horses because they know that technology and safety is a vital key to their horse’s performance upon arriving at their events. 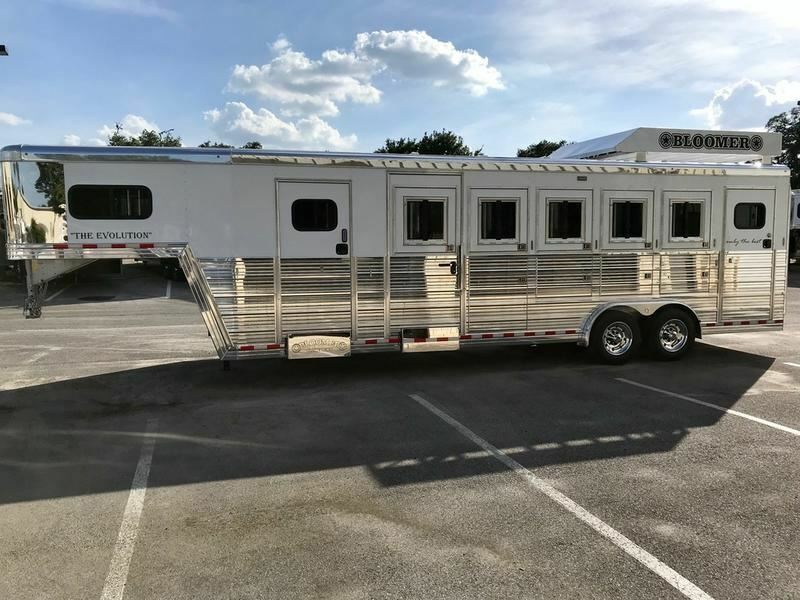 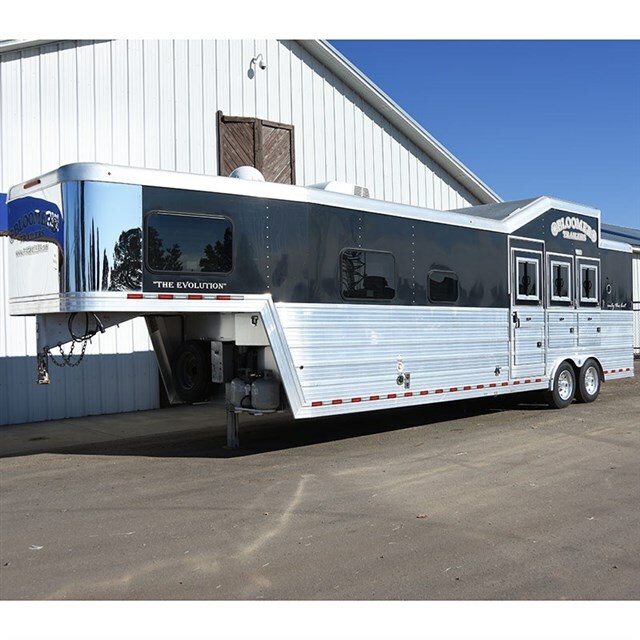 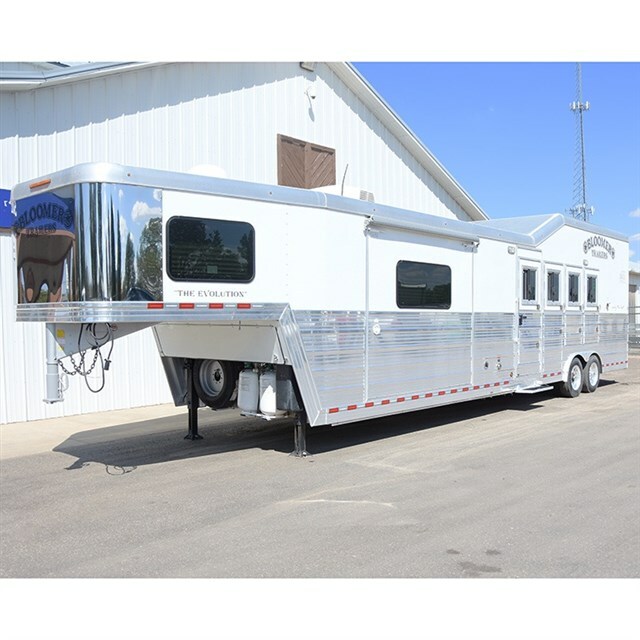 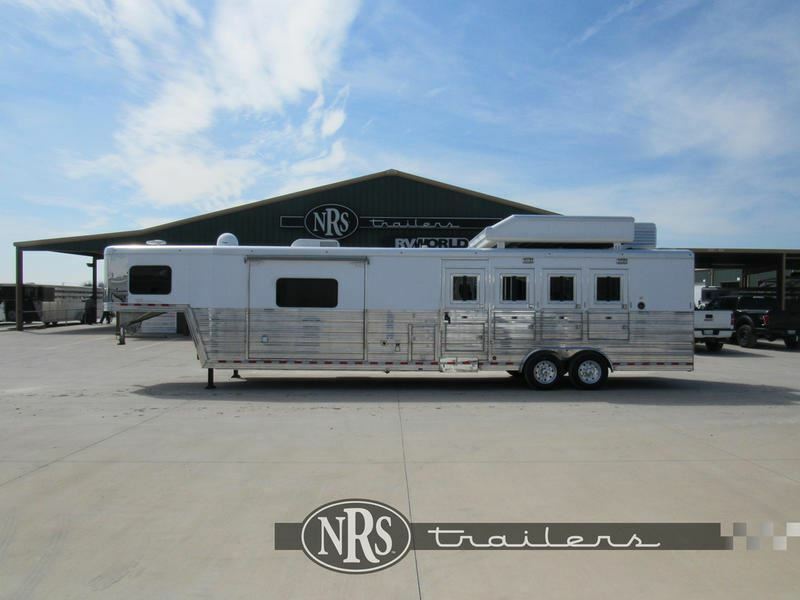 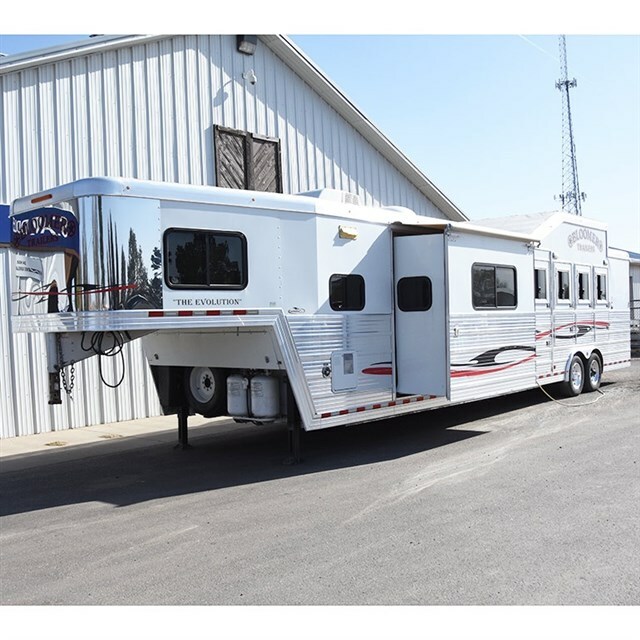 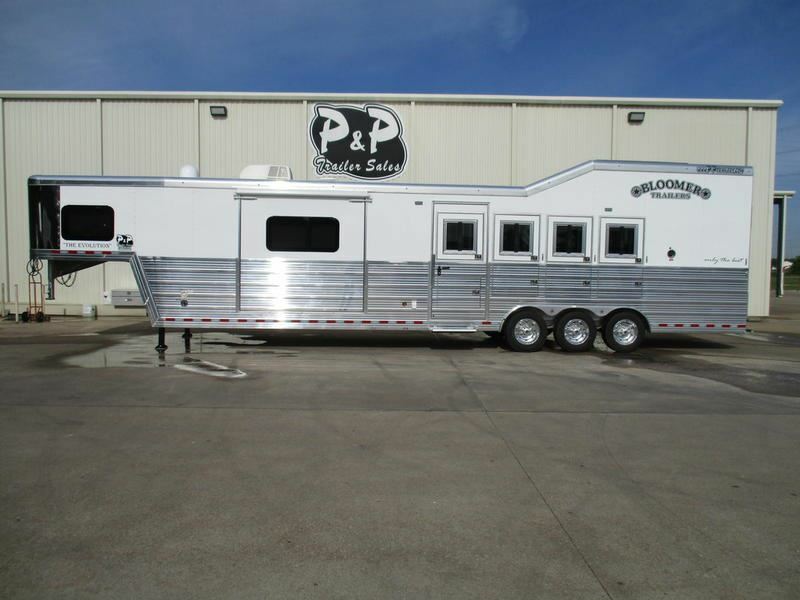 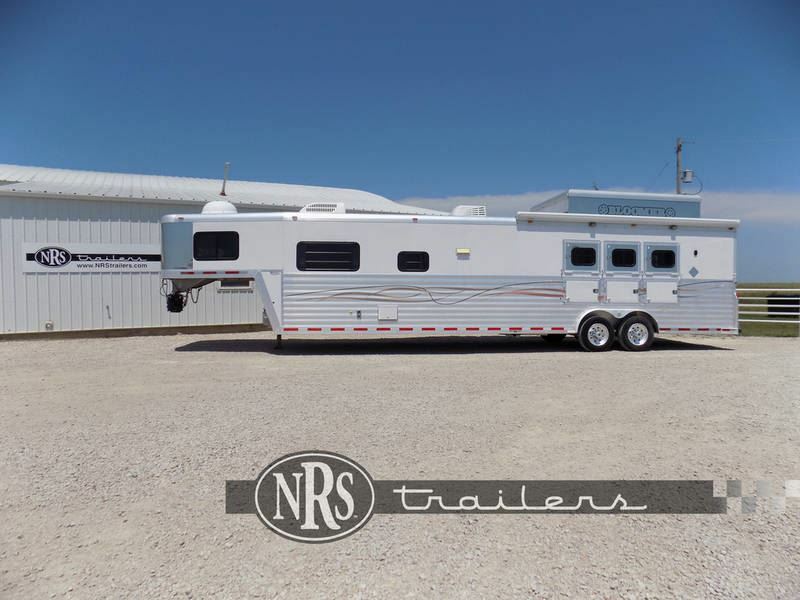 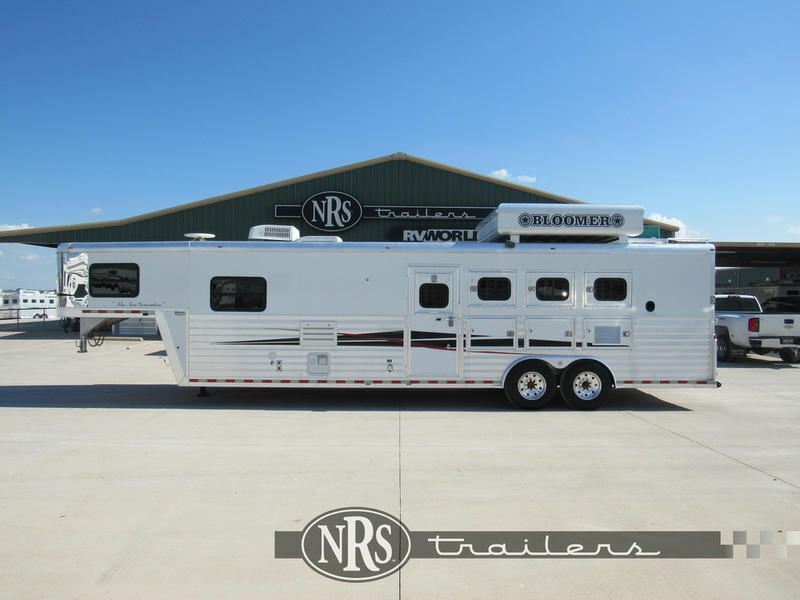 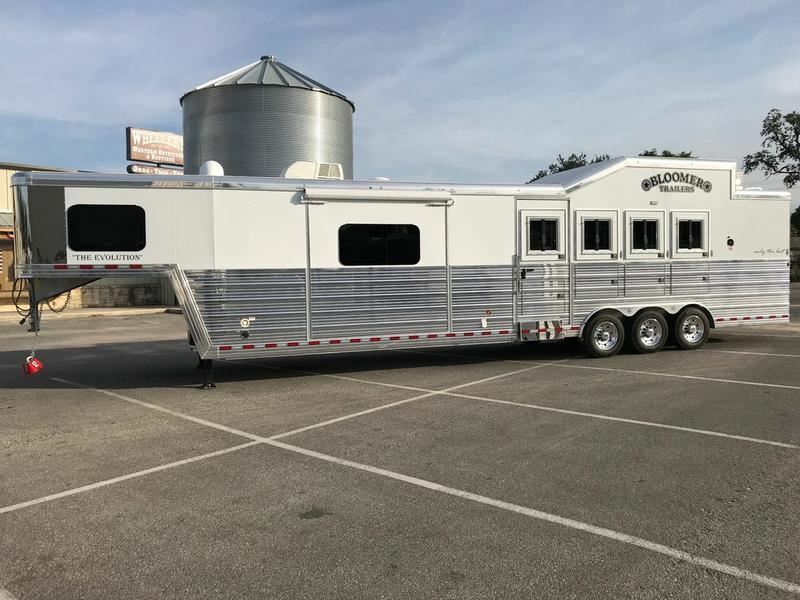 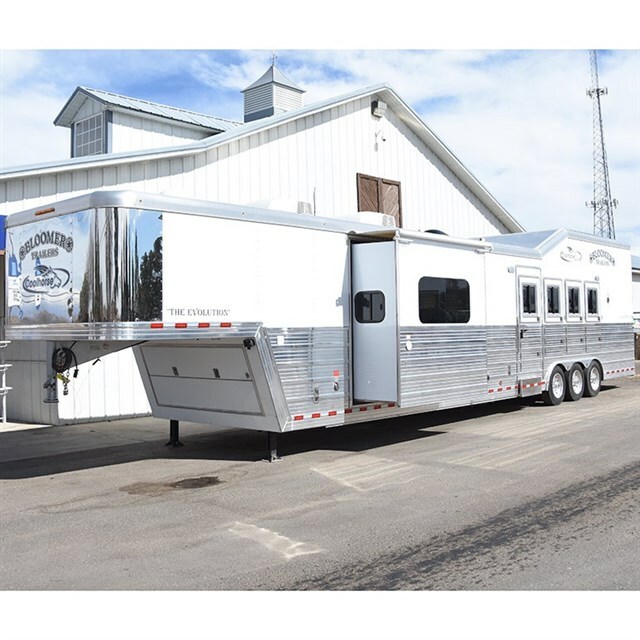 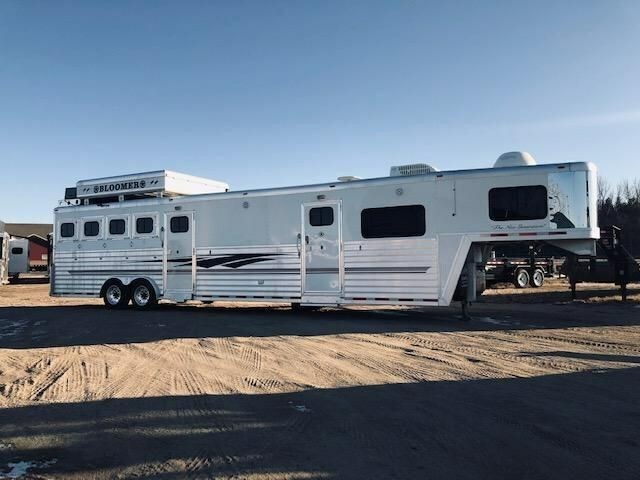 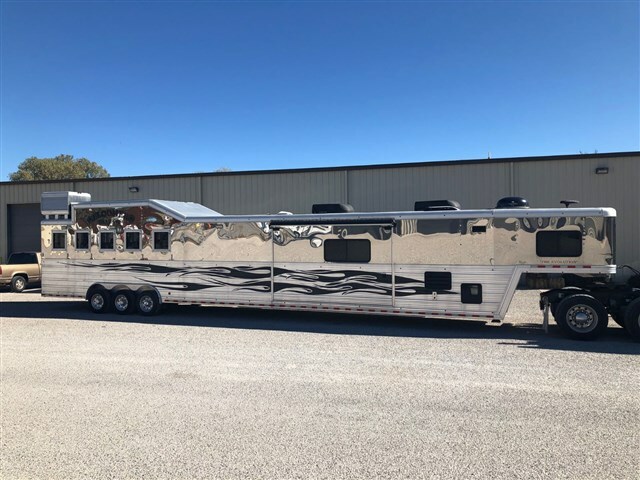 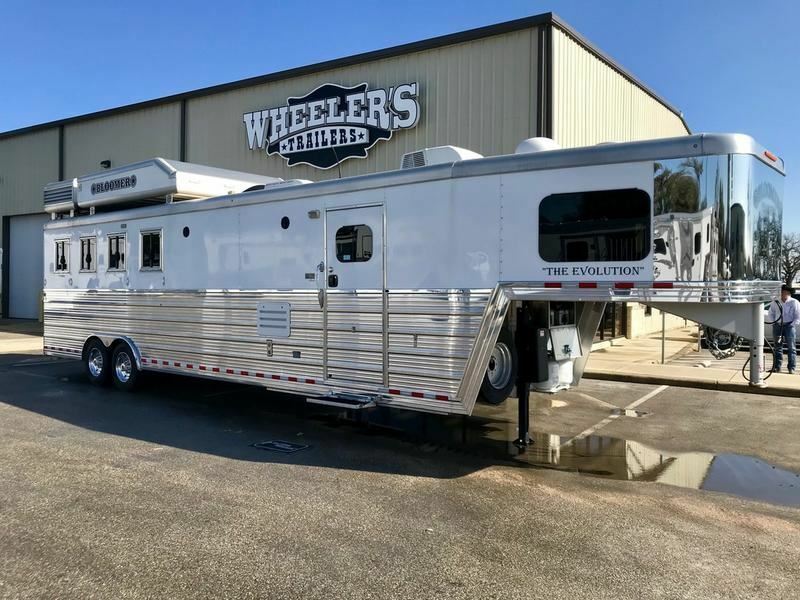 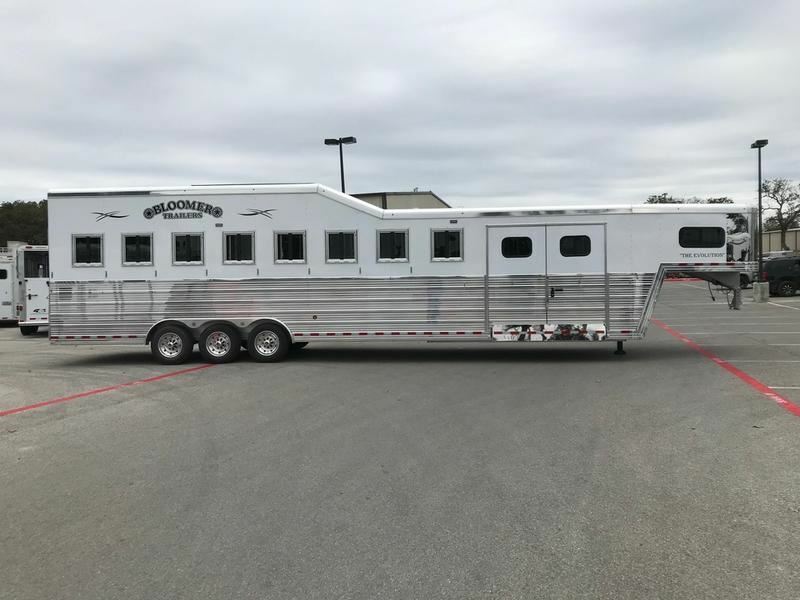 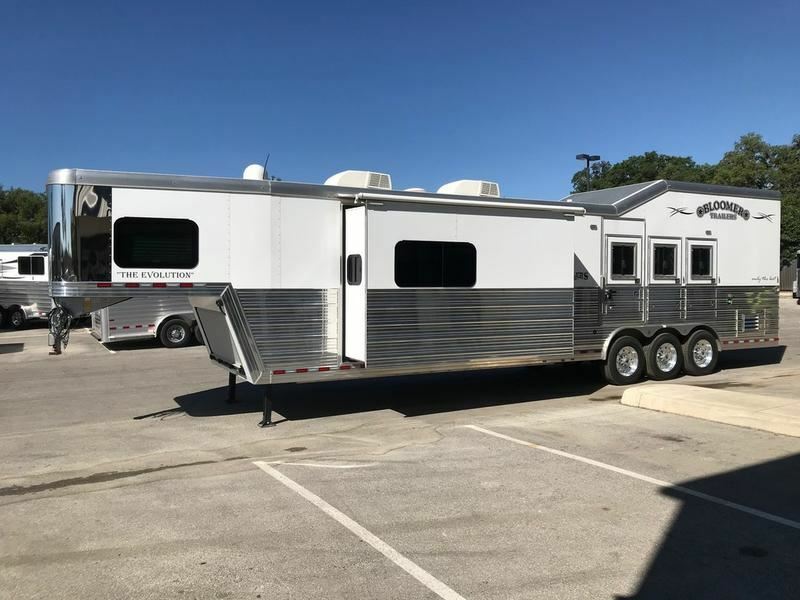 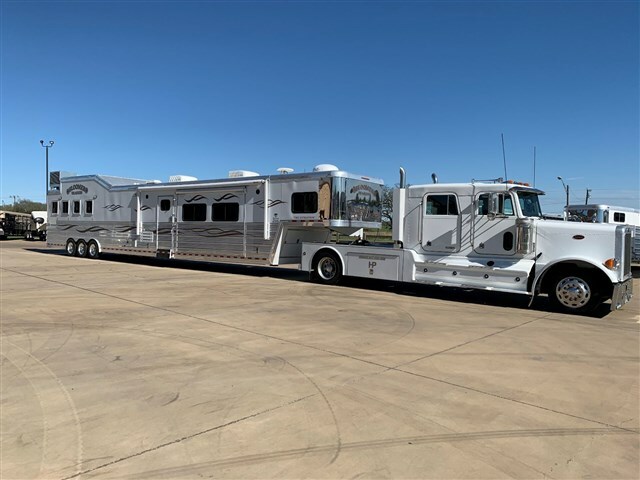 No other trailer company has spent more money on research and development than Bloomer Trailers and they continue their practice of finding better and safer ways to transport your horses. 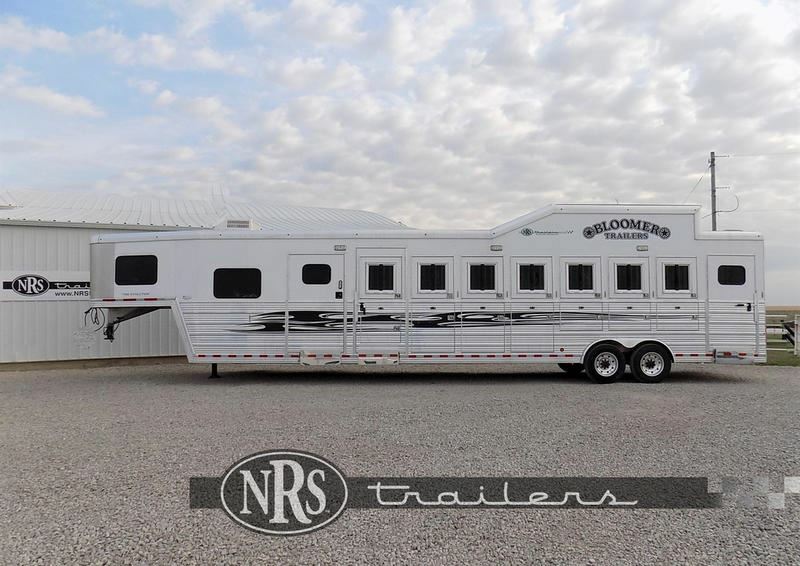 Since Bloomers first trailer rolled out in 1998 it’s commitment has and always will be to use only the best components available anywhere. 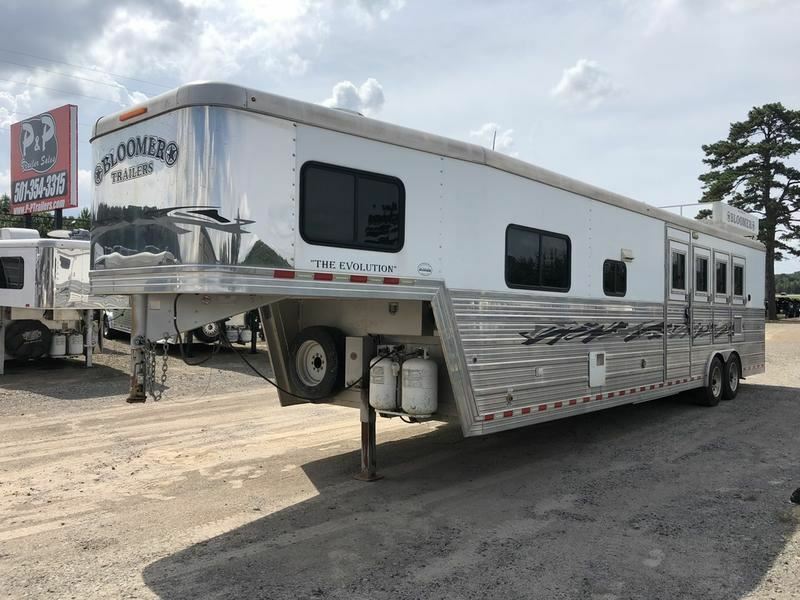 Add a 10-year structural warranty to a trailer that is already known to feature components available only on a Bloomer Trailer and you quickly see why Bloomer Trailers have such a loyal customer base. 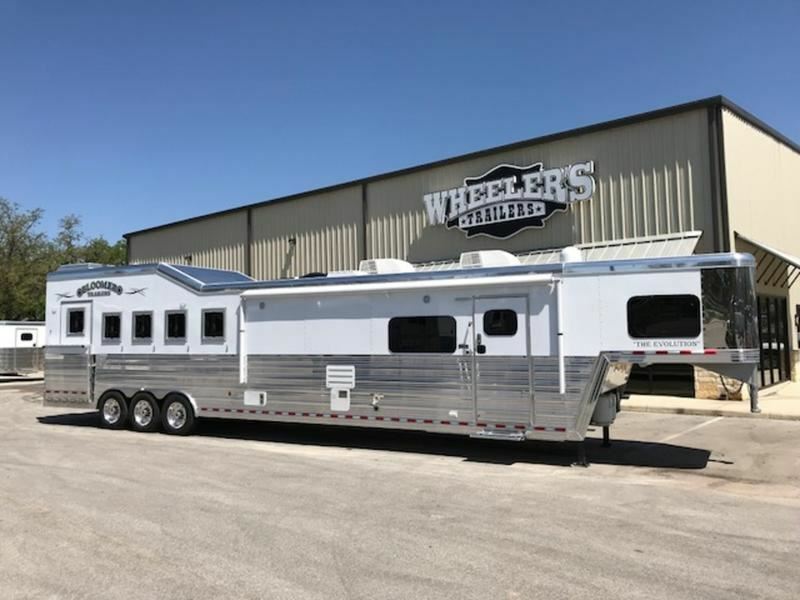 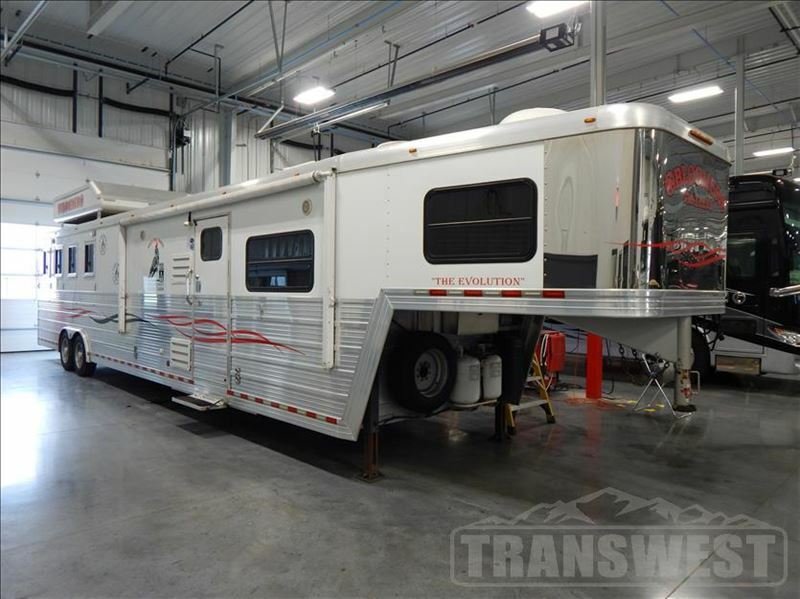 However, Bloomer realizes they aren’t simply building the best trailer available anywhere in the world they are building a trailer that matches the way you live. 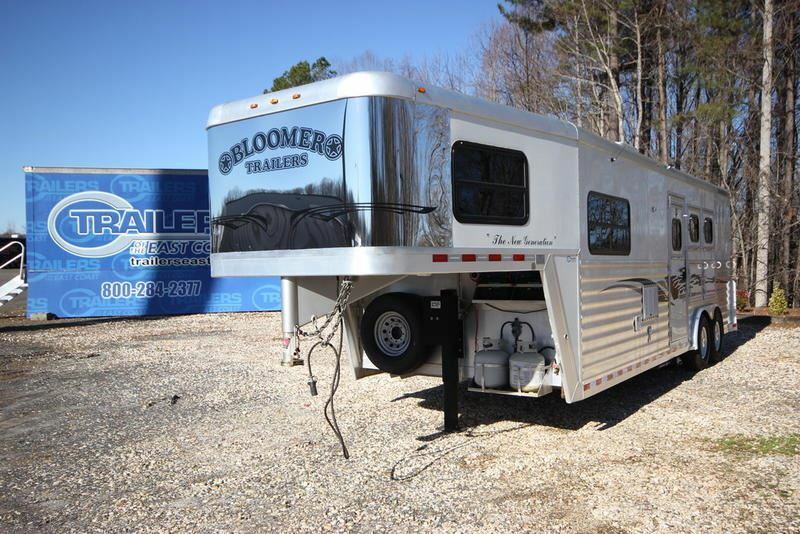 They call it the Bloomer Trailer lifestyle. 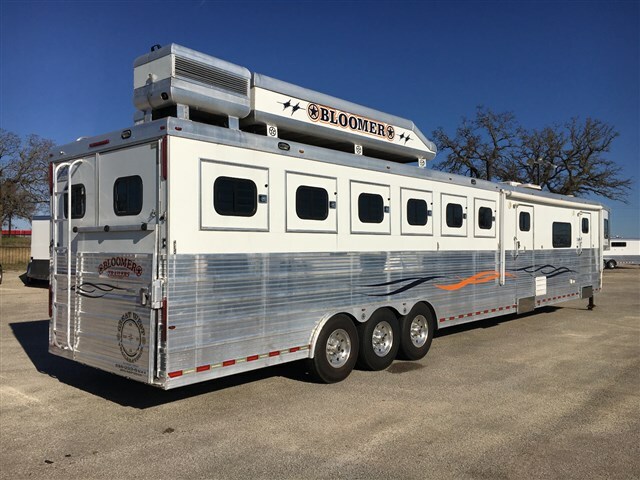 In 2003 Bloomer Trailers built a state of the art production facility in Salado, Texas to serve as a convenient location for dealers, customers and their vendors. 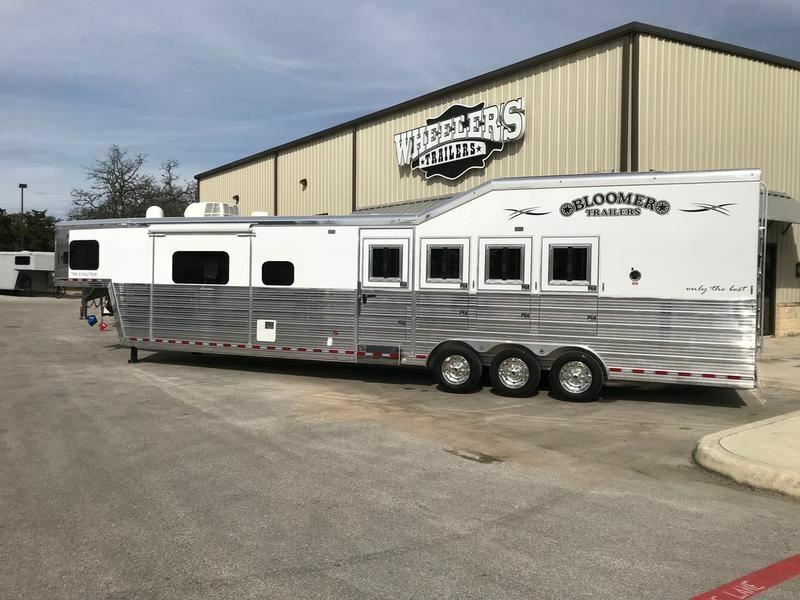 Upon completion, Bloomer moved over forty employees and their families to Central Texas to continue the craftsmanship that was expected and desired by the Bloomer Trailers customers. 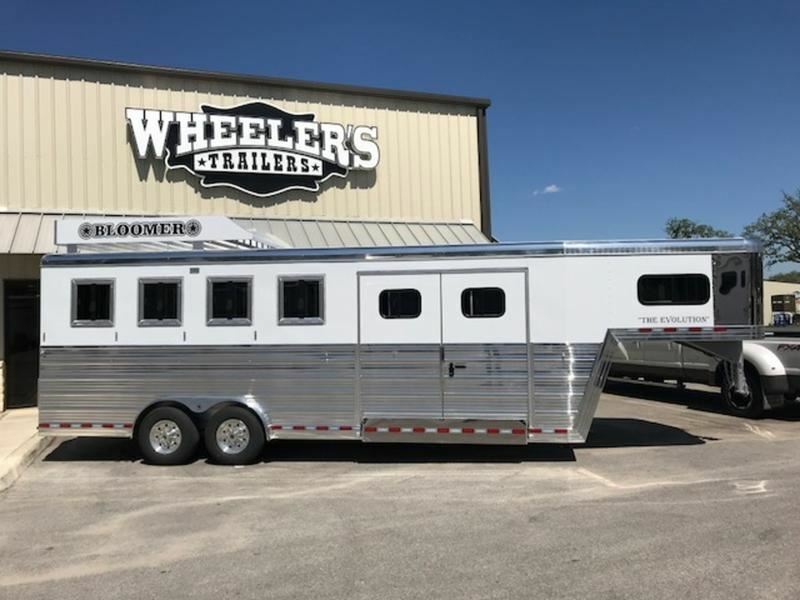 Bloomer Trailers is the Official Trailer of the Wrangler National Finals Rodeo, National Reined Cowhorse Association, World Series of Team Roping, Lazy E Arena, Texas High School Rodeo Association and a National Sponsor of the USTRC. 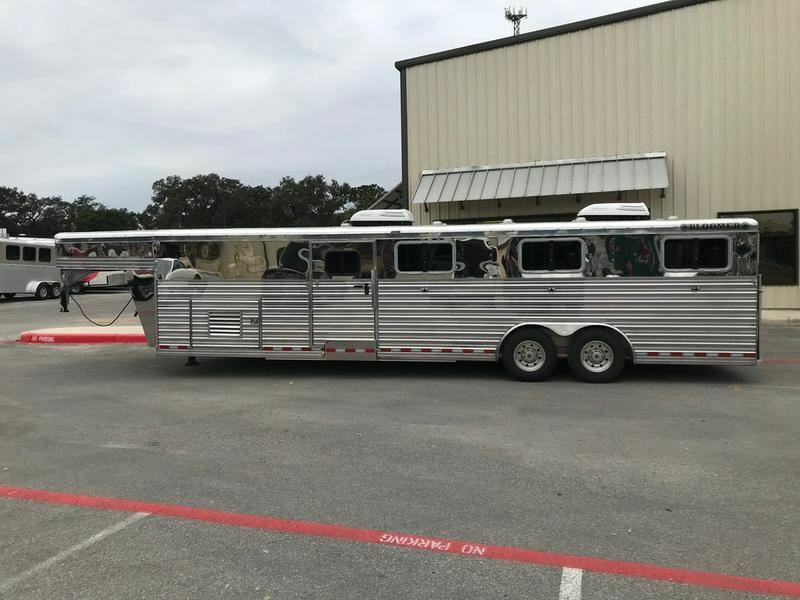 They are dedicated to the purpose of making it “Only the Best” OTB. 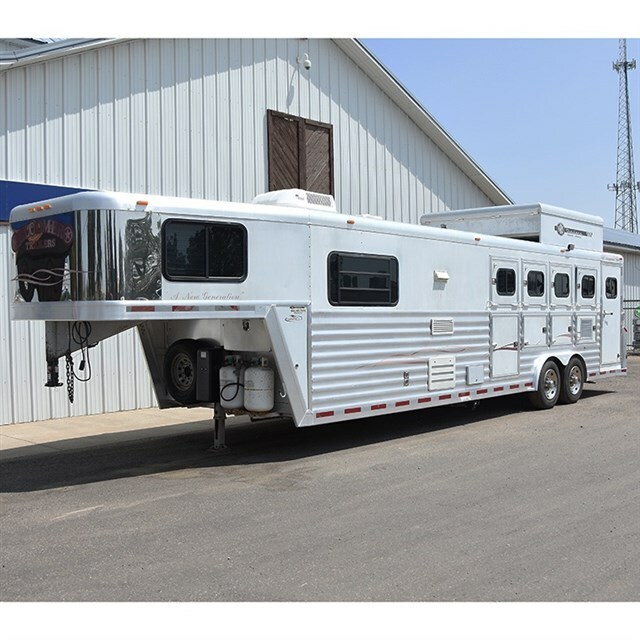 2008 3 horse Bloomer 3H 16' LQ, Gen, New Tires!